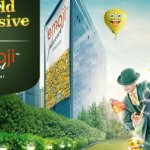 With only 6 weeks to go until Mr Green’s 10th Anniversary, another incredible promotion has been unlocked. This promotion, that will run from today 10th August to 16th August will bring a chance to win 1KG of Gold! There will also be €5,000 in cash prizes available for 19 other players at Mr Green Casino. So help Mr Green to test his newly installed safe system because if you manage to crack it, you’ll win that 1KG of gold! Even though Mr Green’s actual anniversary will be in 6 weeks, Mr Green has been celebrating this joyful event since the 1st of January already. However, the 8-week countdown results in players winning a total of €5 million worth of cash, cars and bonuses with every single week another incredible promotion. This week, no NetEnt Games are involved in the celebrations, but I don’t see any reason why you shouldn’t help Mr Green to test his newly installed safe system. First of all, you’ll be able to win 1KG of Gold and that’s worth the effort, right? 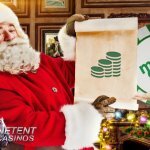 Second, NetEnt is definitely one of Mr Green’s favourite suppliers and the two companies even developed a special Live Casino together. 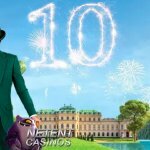 Very often, you’ll find promotions that include one or more NetEnt slots and this week’s anniversary promotion is just an exception. Time to crack that safe! With a €5 Million 10-Year Anniversary countdown, obviously! 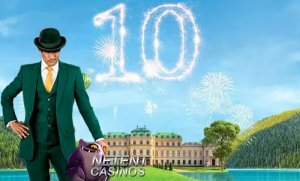 There are now 6 weeks to go until the actual date that Mr Green put his green suit and bowler hat on 10 years ago to take over the iGaming world. 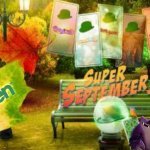 That means there are still 6 weeks left and in those weeks Mr Green will be more generous than ever giving away a total of €5 million worth of cash, cars and online casino bonuses. This also means you still have enough time to explore Mr Green’s mansion like never before, from his unique garage and beautiful gardens to his personal vault and exquisite games parlour. Every week another room can be explored and will contain amazing prizes you won’t want to miss. This week Mr Green’s safe will be ion the spotlight, maybe the most valuable place in the mansion.